CHARLOTTESVILLE, Va. (WVIR) - The man soon-to-be in charge at Charlottesville City Hall was introduced to staff and the public on Monday afternoon. Tarron Richardson said he is honored to be the next City Manager. He said his time working in government administration has prepared him for the challenges ahead. 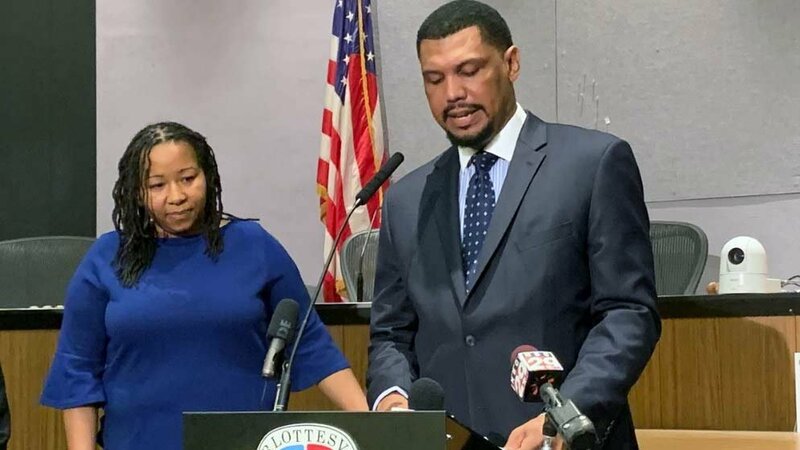 After months of searching and interviewing candidates, Richardson is set to lead the city of Charlottesville starting in May. Richardson said he&apos;s looking forward to meeting people and will have an open door policy for everyone. “I am extremely excited and honored to be your new City Manager,” said Richardson. Mayor Nikuyah Walker is hopeful that Richardson and council will be able to make the community great and vibrant for everyone. “I will spend a significant amount of time during my first couple of months of being City Manager meeting with staff, residents, business owners, and other external agencies in an effort to getting a better understanding of our organizational efficiency and effectiveness,” said Richardson. Richardson believes connecting with the whole community will help ensure that everyone receives superior public services. “His leadership qualities coupled with his high integrity and ability to connect with a wide range of stakeholders give me great confidence in his capacity to run this city, not only effectively, but efficiently, as well as collaborate not only with council and staff with our city community, but our regional partners,” stated Heather Hill, vice mayor for the city of Charlottesville. Richardson, who has 17 years in local government leadership experience, said the challenges in Charlottesville are no different than what he&apos;s seen in other cities. “You have to be prepared and ready for the different challenges that may go on, whether it&apos;s internally or externally, you have to be prepared to be able to handle different situations,” said Richardson. City council will vote on Richardson’s contract on Monday, which will pay him $205,000 a year, with a possible additional $10,000 by next year pending a successful evaluation. Richardson’s official first day will be May 13, 2019.